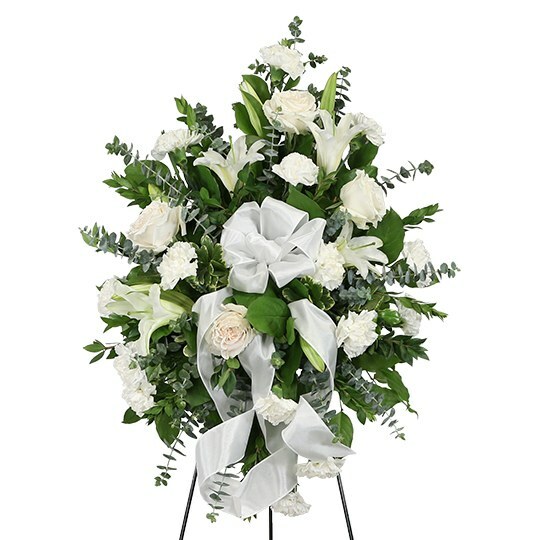 Provide comfort for the family of Bernard Dziekan with a meaningful gesture of sympathy. Bernard “Bernie” Dziekan, 87, of Bayville, died peacefully on February 3, 2019. Born and raised in Perth Amboy, he lived in Matawan and Toms River before retiring to Bayville in 1991. Mr. Dziekan had 30 years of employment as a Personnel Manager at Engelhard Industries. He proudly served his country in the US Army during the Korean War. Bernie was predeceased by the love of his life Pearl, in 2017. Surviving are three children; Bernie, Kevin and Mark and his wife Lisa. Also, he is survived by his two granddaughters’ Sara and Jaimie. Visiting hours will be Thursday, Feb. 7th, from 7pm to 9pm, with a Prayer Service at 8:30pm, in the Mastapeter Funeral Home, 270 Atlantic City Blvd., Bayville. Funeral Friday, 9:30am at the funeral home before leaving at 10am for a 11am schedule at New Jersey Veterans Memorial Cemetery. Prayer Service at 8:30 pm. .
Funeral service at 9:30 am. Leave for Cemetery at 10:00am. Kevin and Family, Our thoughts and prayers are with you. From the Ensono Teams purchased flowers for the family of Bernard Dziekan.